Brochures are often an important informative document which can add marketing or promotional value to the brand. The center for financial education and trainings is run by Mr. Alok Kumar. The institutes conduct trainings in the areas of Personal Finance, Behavioral Skills and MS Excel tools. 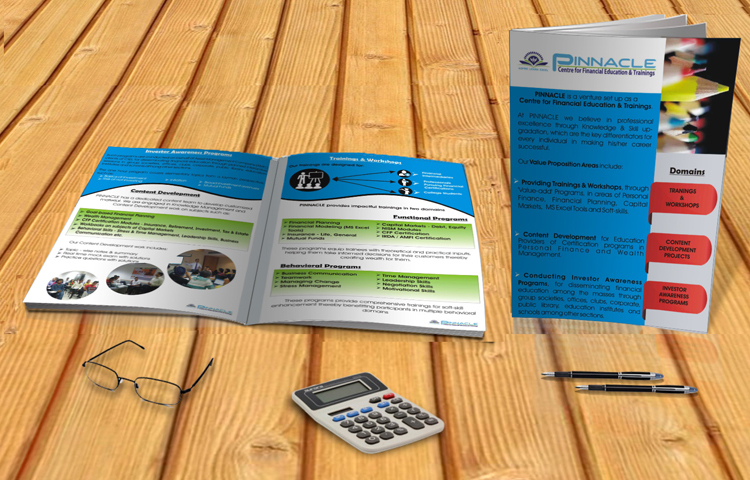 The institute required a promotional brochure for marketing purpose. 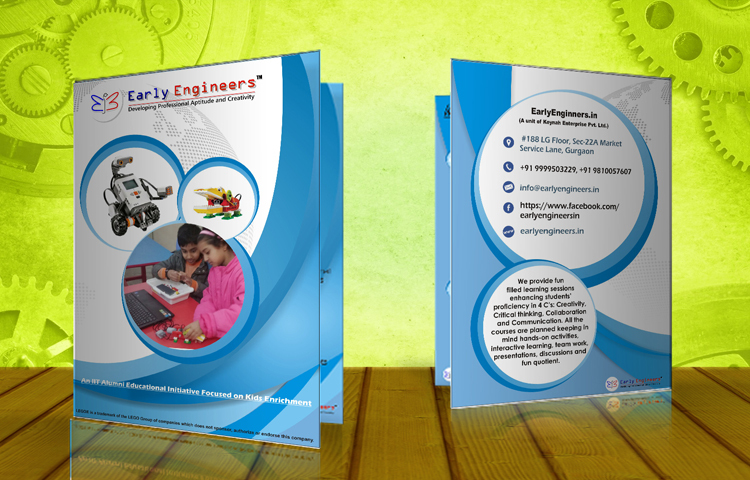 Early Engineers is part of KEYNAH group, an initiative towards providing education support to children of ages 5-14 years in the area of Engineering, Maths & English using STEM education approach. Organization seeks to bridge the gap between routine school and professional education and instil the interest and hone the skills required towards development of a student to a successful professional. The institute require a bifold brochure which can be distributed at their workshops as well as can be sent as a formal introduction to schools operating in Delhi NCR region.